As millions of China’s growing middle class have become new car owners, China’s private car market has propelled it into being one of the most attractive car markets in the world. For automakers, this has been a boom as ownership oversharing was the norm, but the challenges of car ownership in the form of traffic and air pollution have also grown. To tackle the problems, China has made significant investments at the national, provincial, and local levels in public transportation, which has brought improved service to many of China’s. One of the best examples being the investments in metro systems, with 25 subways currently operational, 15 under construction and 25 in the planning stages or proposed. Another is the investments in rapid bus transit systems, and through the most recent five-year plan, further pledges to increase accessibility to all corners of urban centers and provides citywide benefits have been made. One of the more interesting developments in this space has not come from the government but has come from the private sector through bike sharing companies. 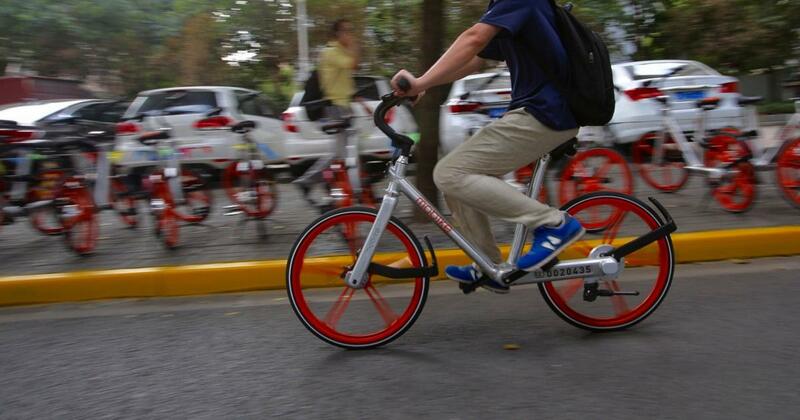 Companies that have taken on hundreds of millions of dollars in investment, and have put out millions of brightly colored bicycles throughout many of China’s first and second-tier cities. It is a vision that has done well, as both bike ridership and investment into sharing APPs like Mobike have created multiple unicorns, and after almost one year of unfettered growth, with the announcement of new regulations by the Shanghai government, it looks as it Chinese bike-sharing startups might see a slow-down. The car economy is not sustainable: Setting aside the issues of traffic for a moment, and the link between CO2 emissions and climate change, if China is to continue its path towards a car ownership ratio in parity with the US, the amount of energy and real estate required to power and park this number of cars simply does not exist. 15 years ago, China was a net exporter of oil, and now it imports up to 80% of its oil resources. Oil that may very well be cheap, but there are clear signs and commitments being made by Chinese to reduce this exposure. Bike sharing helps build “smart streets” and local communities: Shanghai urban planning department is using Mobike’s data to understand the flow of traffic during peak hours to make smarter public transport decisions, which will help the city create smarter streets and allocate their transportation budgets more efficiently, however through these programs the benefit to communities are not just about better roads, as well as improve economics for street retailers who are currently inaccessible to cars, be it for a lack of parking or through the enforcement of strict parking laws. Bike sharing increases space on the road and makes the city feel more accessible: An average-size car takes up ten sqm of space, while a bike takes up one sqm. If 10,000 people decide to ride a bike instead of driving cars, an additional 90,000 sqm of space would be added to the road, which would greatly reduce traffic congestion during peak hours. Bike Sharing is the most efficient solution for the last mile/ km challenges: For cities that have been spending billions on public transportation, and creating some of the most dense networks of bus and metros, the availability of bike programs like Mobike and Ofo will help to reduce the volume of car traffic that support the last kilometer challenge. A framework for many mobility experts is seen as one of the key challenges to be fixed. Bike Sharing programs remove the externalities of bicycle ownership: Similar to cars, or power tools, the reality is that a lot of purchased bicycles are underutilized. As these programs scale to a point where the average resident is brought into the ecosystem, the need to purchase a bike will over time be removed. Which, for many, means that their bike won’t be stolen! Like any new industry, particularly one that seemingly came out of nowhere, there will be challenges, and the brands/investors will need to find ways to proactively address some of the most common concerns. However, despite the escalating complaints about bike sharing and challenges to build a sustainable business model, it does make cities better through the reduction in traffic, reduction of localized emissions, and the opening up of communities to higher levels of integration and accessibility. Tags: air, China, Pollution, sharing economy, transportation, urbanization.